For several years Margo has had a themed Christmas Tree. 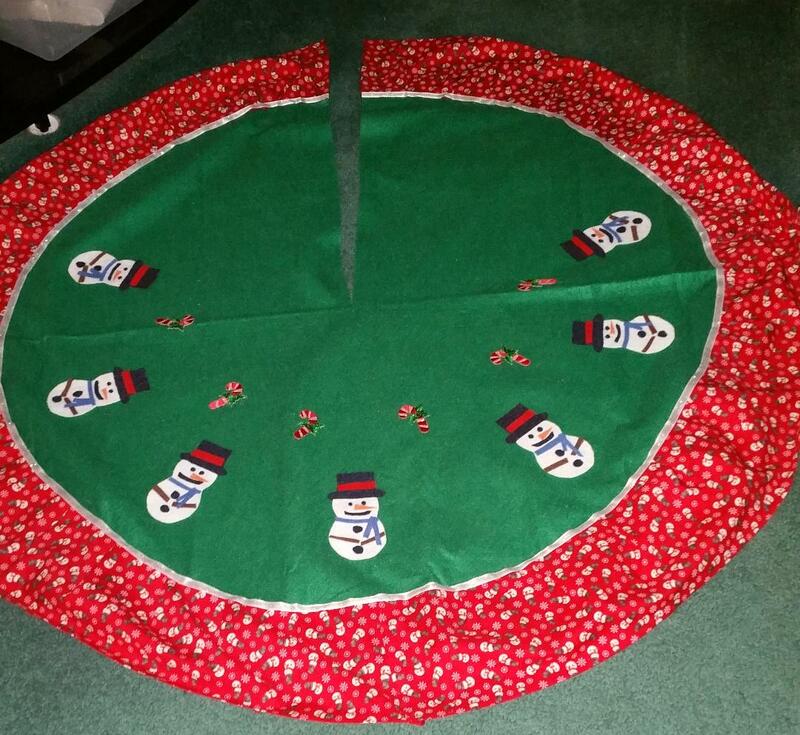 Of course the world does not see eye to eye with Margo, so her theme does not usually come with a commercially produced tree skirt. That has yet to make Margo say "Well, I j=guess I will have to change my theme. For 2017, she took a plain run of the mill green skirt, added a snowman patterned cloth border, and the created her own snowmen out of half a dozen colors of felt. Some applique candy canes rounded it out. She decided not to decorate the back half of the skirt, because you can't see it anyway.